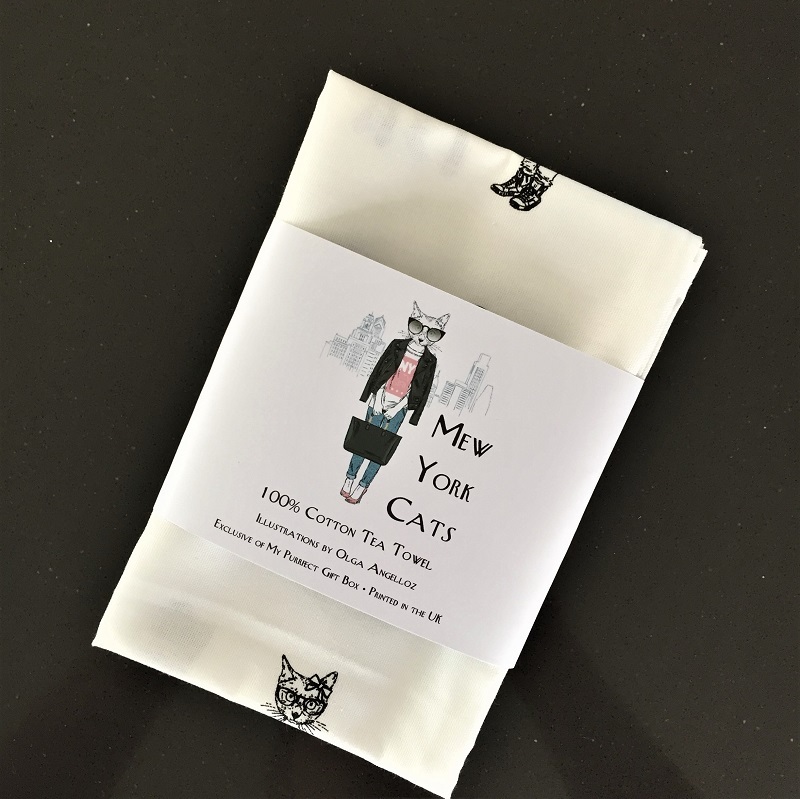 Found in our Mew York Mew York box. We couldn't have a New York theme without a fashion twist. 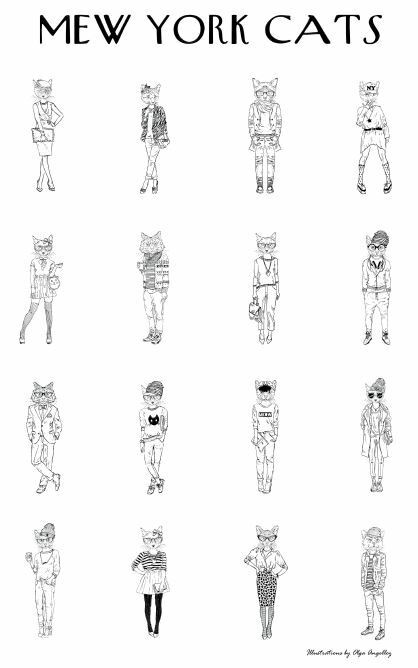 This 100% cotton tea towel features Olga Angelloz's illustrations of fashion forward cat ladies and gents. Here we feature 16 of our favourites on this 100% cotton tea towel.